We are the recipient this last week of a very generous gift from the Myer Foundation. 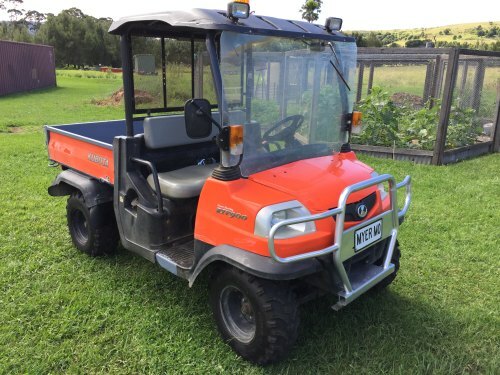 We have been given a four wheel drive side by side vehicle that will enable us to safely feed our animals up and down hills accompanied by the young people. We are able to carry all the feed buckets in one trip now, and carry equipment and materials in the rear tipping tray. Over the years we have taught many young people to drive on the farm with the permission of their carers. This vehicle named the “Myer Mo” will provide another safe step in that process. Another special thank you to a wonderful volunteer Jerry who spends many hours on funding applications.